When The Man and I first started our family, we knew very little about anything in life. But one thing we knew for sure was that we wanted a simple life. In this day and age, living simply is not an easy thing to do. Of course we're all busy with jobs and work and band and sports and running a business and just life in general. But we do our best to keep things in our family as simple as possible. 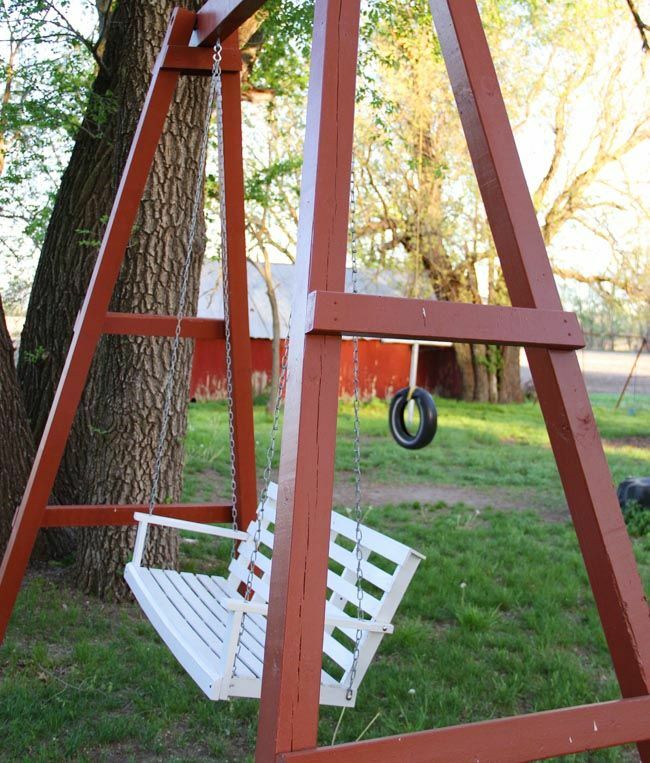 Last summer The Man built this swing for us. We have a porch but it's not really suitable for a porch swing, so this serves that purpose... a free standing structure in the yard. Nearly every evening, The Man and I sit out here and swing. Sometimes it's for a few minutes. Sometimes we get interrupted by kids. Sometimes we just sit and watch the kids play in the yard. In the winter, we bundle up and even bring hot chocolate and blankets with us. It's just our time to spend together, decompress from the day, and stay connected to each other. We talk about kids and life and business and celebrities and housekeeping and my hair and whether or not he likes my current toenail polish. 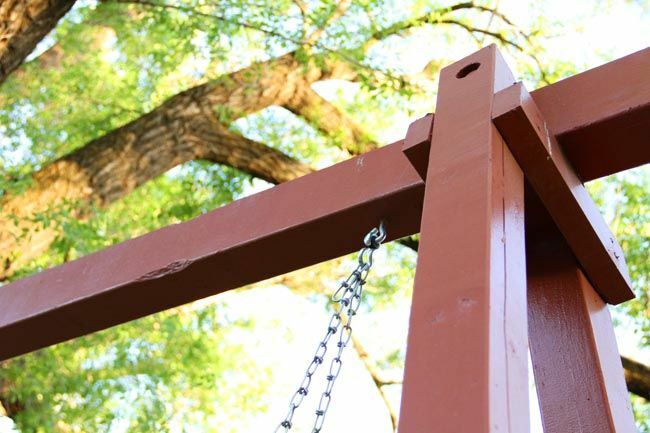 When the kids are home from school, they frequently grab a book and go to the swing. It's not always easy to live a simple life. But it's something we do intentionally, as much as possible. And this simple slow tradition is something that keeps our marriage strong, which creates a great example for our kids. 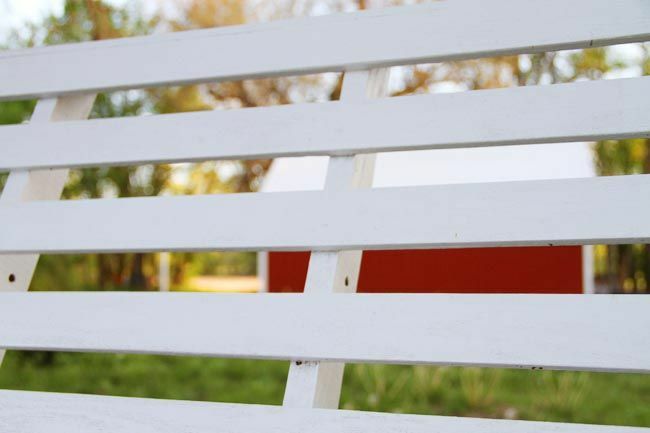 ***Do you have a porch swing? No swing, but we have a patio. Next time, I'm going to take my cue when my husband heads out there with a cup of coffee after dinner & follow him! Our patio isn't anything special -- so I don't really spend much time out there. Seems like maybe I need to start looking at it differently. Thanks Friend. We had a swing and then the cushion failed as it couldn't take the weather. We are in search of another swing for our patio...it's my favorite place to be in the warmer months. I rocked many children on that swing. I miss it terribly. I envy yours! I've been keeping my eye out for porch swings. My mother/father-in-law have a hammock and we LOVE it when we're there, we lay in it. But, I haven't found the right one for us yet. I like your's though. The red and the white. very cute. We have a porch swing on our big ol' porch. We love to sit and swing, especially when it's raining because we stay dry while we enjoy the rain. Thanks for the reminder to enjoy the slow, simple life! I think I would like to be you very much. Does The Man have any single brothers?! 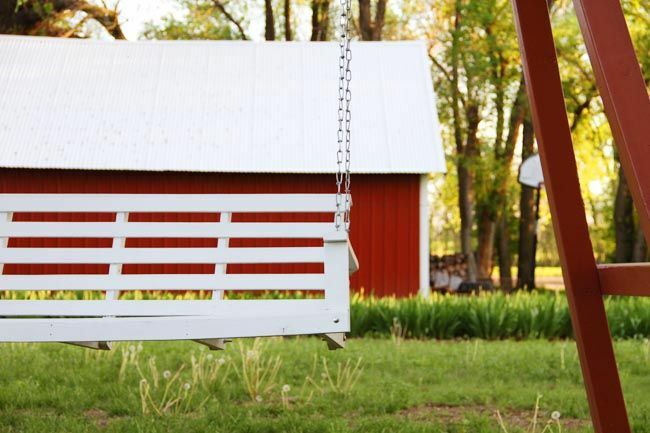 simple life and swing go hand in hand. i have a porch swing at our cabin and it's my favorite place. Yes, we have one on our deck and I love it!!! It is one of my favorite places to hang out. It's all sweet and happy til a snake crawls up your leg.